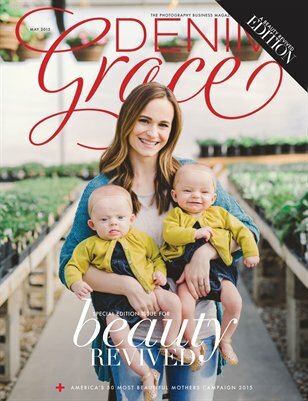 Denim+Grace Magazine’s Beauty Revived Mothers issue contains 114 pages of stories and photographs by artists in the photography industry. Dedicated to celebrating the beauty of mothers, this special edition issue of Denim+Grace magazine contains 50 stories of strength and triumph of mothers from all walks of life. A portion of the proceeds from each sale will be donated to the Beauty Revived cause. To learn more about Beauty Revived's mission, visit their site at iambeautyrevived.com.